Hoodwink Theatre Company is Salisbury Arts Centre’s Theatre Company in Residence. 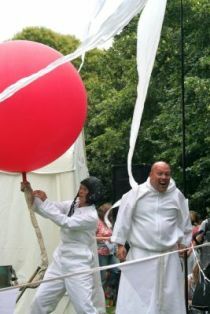 Hoodwink was started in 1997 to create new visual theatre and cross-art form performance events that are innovative and accessible. After a long and fruitful series of collaborations, projects and performances the company moved into the arts centre after the reopening in 2005. 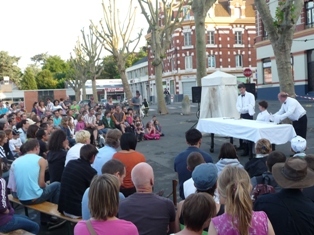 Hoodwink combines indoor and outdoor touring in the UK and abroad with site specific and participatory performance projects. The company has built a reputation for its unique combination of striking visual images, comedy, music and sound.